Garv Toilets promotes sustainable solutions to sanitation through innovative toilet design and use of technology to track pertinent data. 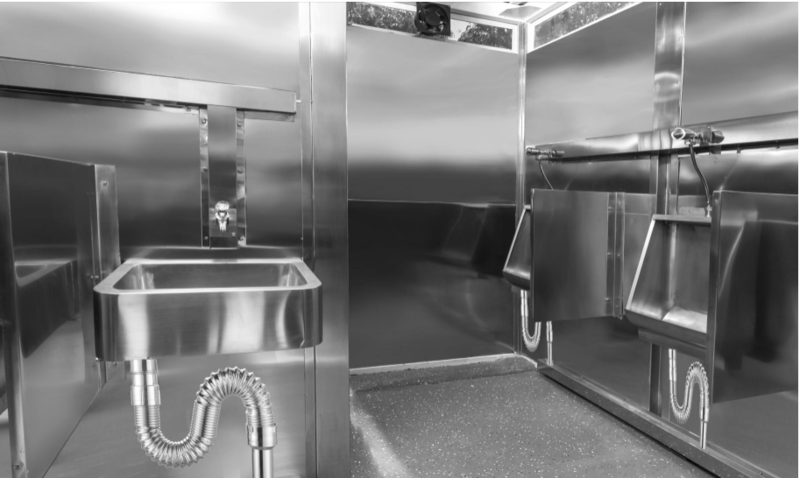 The company uses stainless steel for the construction of public toilets that are vandal-proof, rust-proof and easy to clean. Thus, while the initial capital costs are higher using steel instead of traditional materials (e.g. ceramic or cement), the listed benefits entail significant savings on operating expenditures in the long run, longer shelf-life and increased sanitation due to ease of cleaning. Garv Toilets currently offers six models catering to different user needs, such as “Toilets for her” and toilets equipped with bio-digesters. All models use solar panels to power LED lights, sensors and exhaust fans, while additional smart technology can provide real-time data on usage parameters, remotely monitor malfunctioning and automatically activate cleaning procedures (e.g. of floor and WC). Defecation in the open and its adverse health effects is a significant problem in India, due to the lack of access to proper sanitation facilities. This especially affects women. Garv Toilets attempts to solve this by constructing public toilets in areas of great need, such as urban slum areas, market places etc. The toilets are free to use and thus available for all citizens. advertising rights and business partnerships. The smart technology enables analysis of hygiene behavior and health data, with tracking of e.g. soap dispensers and toilet flushes. The strength of the approach lies especially in its sustainability and cost effectiveness over the long run. Also, the biotoilets are well suited for areas without sewage coverage. After a year developing the product, Garv Toilets was launched in January 2016 and to date has installed a total of 198 toilets spread across Pune, Faridabad, Ujjain and Thimphu (Bhutan) with 20.000 unit uses per day. Garv Toilets currently has 17 full-time employees and is planning on expanding within India, as well as to neighboring countries and Africa. Garv Toilets signed its first agreement for construction of toilets in the capital of Bhutan in the fall, and will begin construction of toilets in Ghana in April as part of a Dutch-financed pilot project. With these contracts, Garv Toilets expects to reach 90.000 unit users by mid-2017. 95% of the toilets do not currently have smart technology, as partners do not currently recognize the added value received from the extra installation cost.